Love a Man with a BEARD!!! So I received Bronson Naturals triple blend oil about 2 weeks ago for free for my honest review.My boyfriend has been growing out his beard for a while now.He has tried a lot of different oil.He likes this oil,but he prefer oils with scents.If your not worried about the smell,then you will really enjoy this oil.Its easy to apply and a little goes along way.This oil make your beard really soft and give it a little shine to it.Bronson Naturals triple blend beard oil comes in a nice size bottle (1fl oz) it would last you awhile.My boyfriend only had to put the oil in 1 time a day,right after his shower.Not only does the beard oil make your beards soft,it also make your skin soft and you won't itch.If your looking for a good beard oil with no smell,this oil is great. Who loves a man with a BEARD!!! My boyfriend has been using this beard oil for a couple of weeks now.I must say he has really been enjoy it.It's a nice thick oil so you don't need as much.It comes with a dripper,which is easy to use and you know how much your using.This oil is made with high quality oils.The first time he used it he could tells it was going to be a good oil.It made his beard really soft and a little shiny.No man wants a greasy looking beard!!! 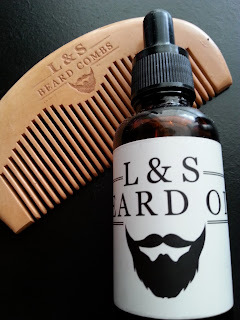 !The comb is great too,its the perfect size for any size beard.Its is made with real wood.No man should ever use a plastic comb in his beard,its really bad for it.You get the best of both world in one order,so why not.It's a must try!!! Love yourself for who you are!!!!! 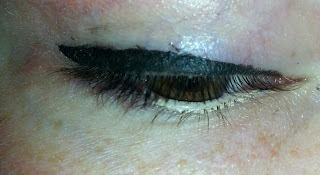 Which eye liner do think will win?Leave a comment.Results will be posted tomorrow morning!!!! 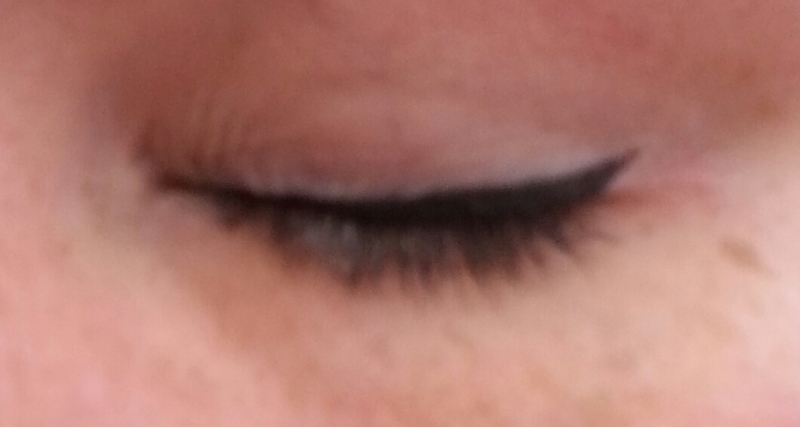 So I wore both eyeliner for a little over 13 hours.I took a shower,and slept with them on!! Here are some picture when I first applied the eyeliners. 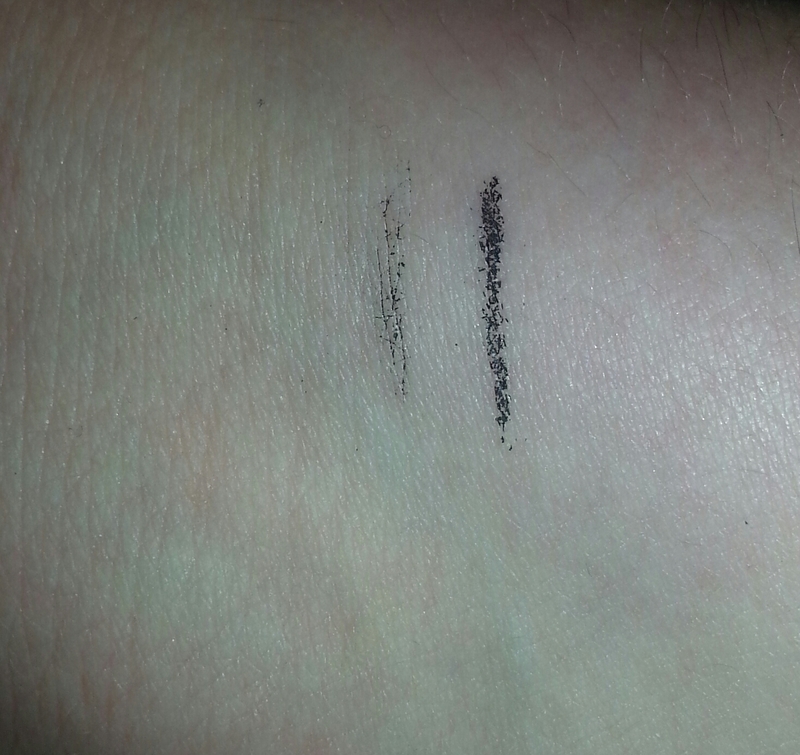 Here is a close up of each eyeliner on my arm. When I look at the eyeliners side by side they are very simular.The Stila looks a little darker and hint of shine. 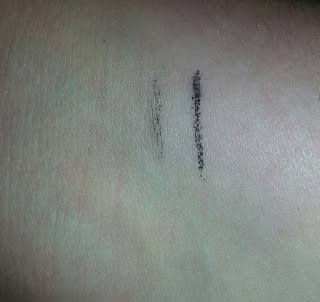 Both claim to be water proof,as you can see below a picture of the same marks.I ran a little water over them and then ran a finger over them.It didn't take much effect to rub the Milani complete away :(. 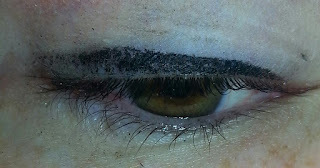 After 13 hour or so,here is what my eyes look like. 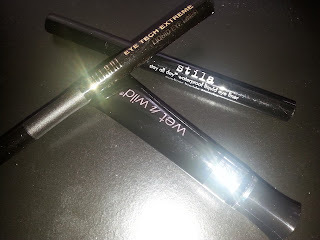 The Stila stayed put really well,I'm really impressed.Now don't get me wrong the Milani didn't last,but it stay put for a good 9 hours.But if you don't have oily eyelids it could last longer. The Stila Stay All Day will cost you $20 and the Milani Eye Tech Extreme cost $7.98. 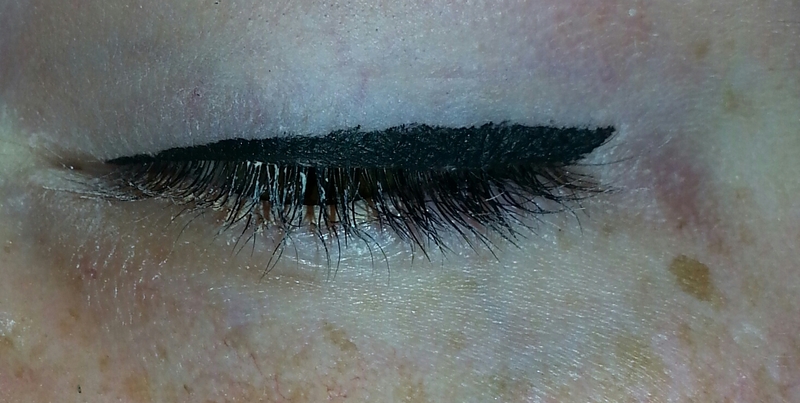 I would recommend both product.Both didn't smudge or feather out for 9 hours. 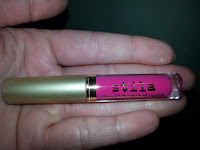 The Stila felt -tip is to soft and after a few uses,the felt-tip starts having little pieces of the tip hang on from dear life.It product comes out great,it does apply easier then the Milani.Paying $20 for a eyeliner,it looks like the company can make a better tip.If both tip could come together,it would be prefect!!! So if your looking for something to last for 9 hours,both wore great. If you want to spend $20 for a eyeliner go for the stila! If not Milani will get the job done. Who's about that LIFE!!! I am!!!! Well I have always loved a nice cold glass of coke,I once told my friend a ice cold Coca Cola is like a American dream in a cup.It always takes me back to the first time I tasted Coca. 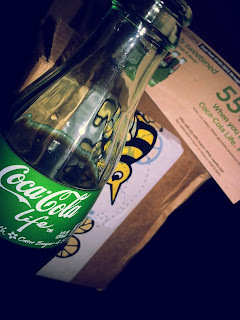 I was about 10,sitting outside on the pouch on a hot summer day.My mouth and tongue went haywire.I have loved it ever since.I never could drink a diet coca or coca zero,it always left a nasty after taste.But I'm loving the Coca Cola Life.It taste great,and don't leave that awful after taste.I won't feel guilty drinking 2 a day with it having less calories then a regular Coca Cola. The sweetness is just right,you get the best of both worlds,a Coca that is better for you and it still sweet.Who wouldn't love it.It's a must try. 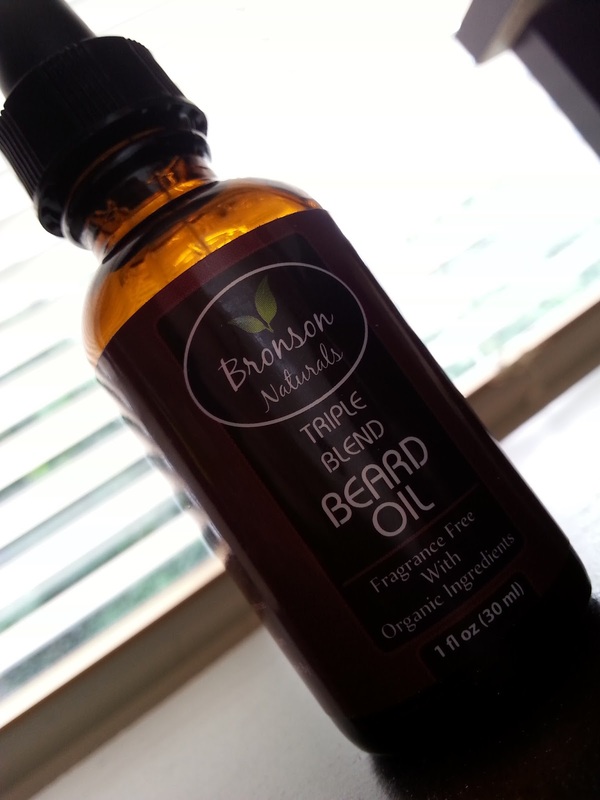 I got this product from bzzagent!!! Love yourself for who you are!! 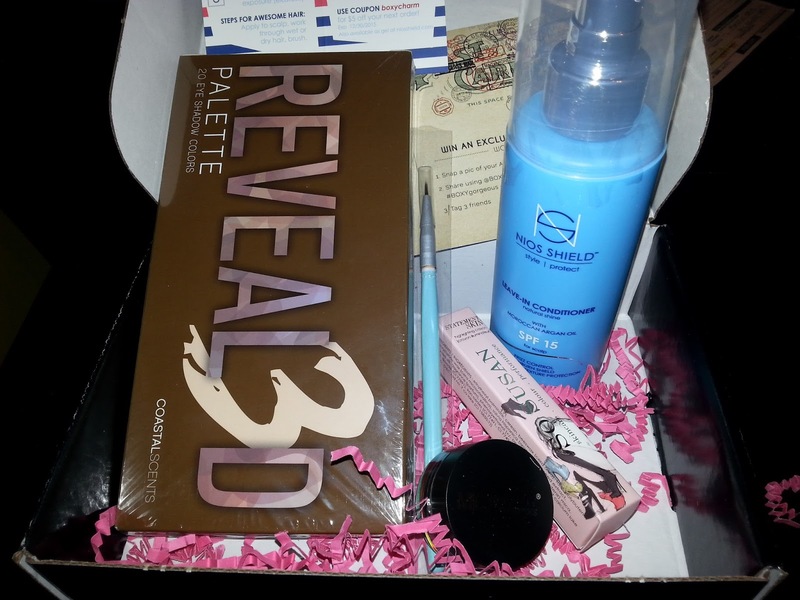 The second thing I'm going to review from my boxycharm box is the Coastal Scents Revealed 3 palette. Here are some swatches. 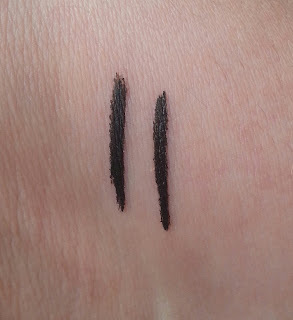 The swatches go from right to left,I couldn't get the first 2 color on the top row to show up on my arm so the top row starts with the 3rd shade.I put a eye primer on my arm to help show the colors better. 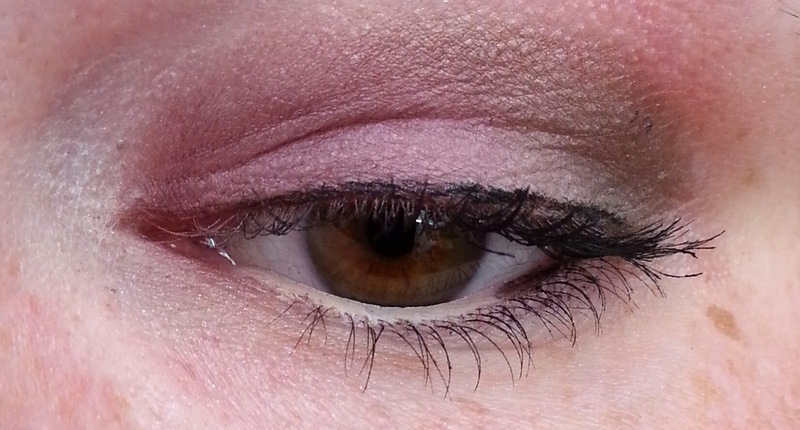 Now here are some pictures of the colors on my eyes.I used color 1, 9,11,and 16 in the palette. Some of the colors are very pretty and pigment.You do have a lot of fall out,when putting a color on it feels really nice,but I had a hard time of getting it to stay in one area.You can't swipe your eye shadow brush across your eye,your have to pat it on.You will still have some fall out.The 4 colors that I did use blended pretty well,have I had other palettes that blended better,YES! But I do love a lot of the colors.Plus it wore really nice all day.So I would buy this again and can't wait to try the Revealed 1 and 2 palette. 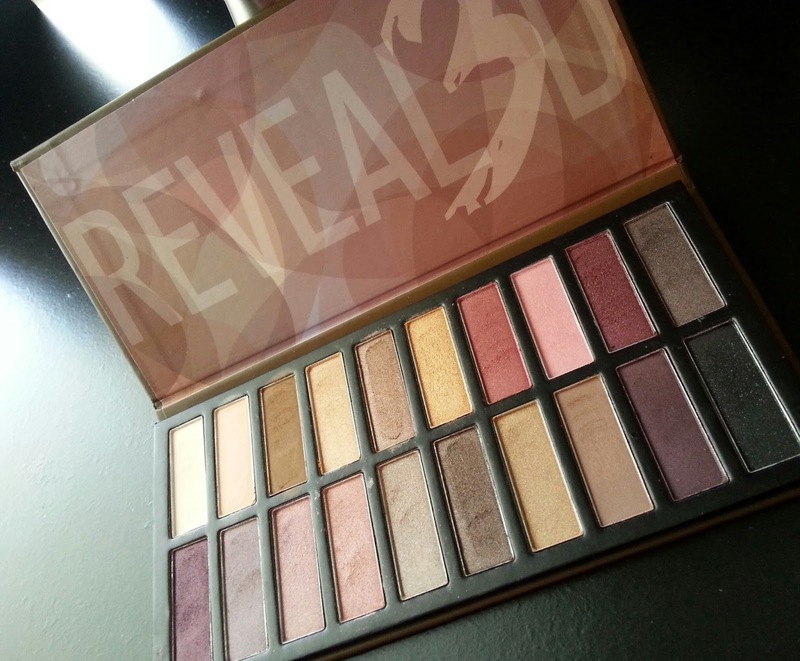 If you have tried this palette or any of the other Revealed palette,tell me what you think. Love yourself for who you are!!! Who don't love a boxycharm!!! So yesterday I got my boxycharm box,I couldn't wait to try all these goodies in it. 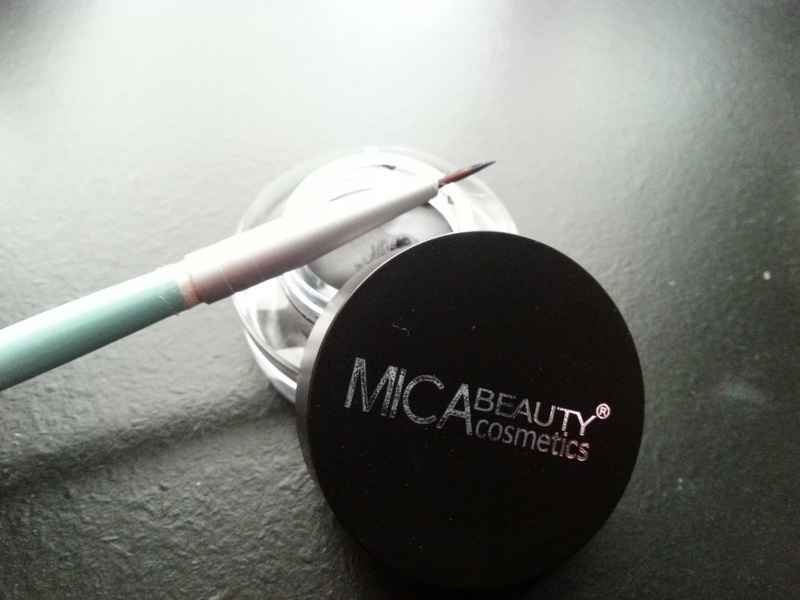 The mica beauty's gel eyeliner is perfect for drawing attention to your eyes without smudging or fading. 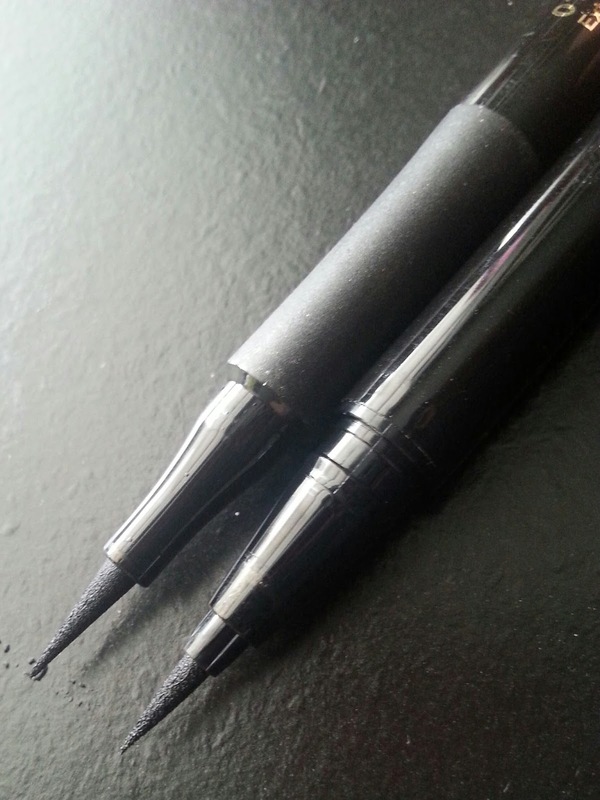 Lasts longer than regular eyeliners and is a quick dry,smudge proof liner. 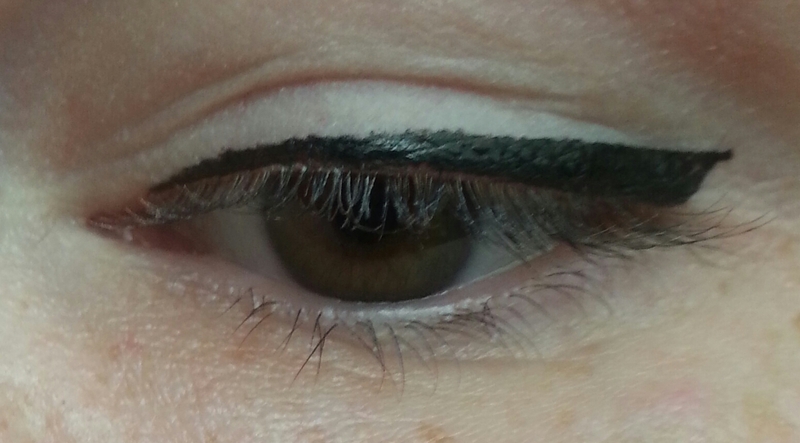 Well I love the brush,it easy to apply.I got a cat eyes what little effort. This will be my go to brush with any gel eye liner. Yesterday about 3:40 I starter play with the Mica Beauty gel eyeliner,it went on smooth,it didn't tug at my eyes.It was just really creamy and with that eyeliner brush it went great. Here are some pictures. One eye has primer on and one don't. To test how long it really stays. 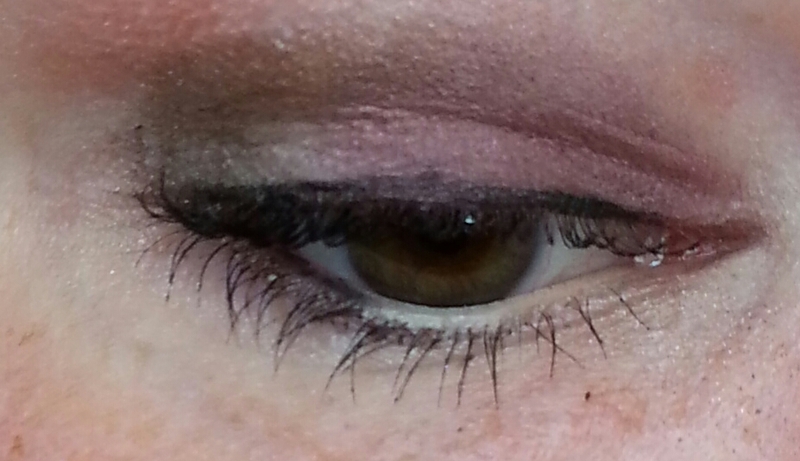 I do have oily eyelids. 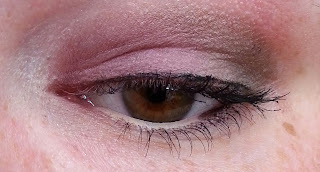 So the eye with out the primer has a little bit of smudge going on immediately,but it could have been my fault,because I have a hard time of keeping my eyes close while it drys. So here is another set of pictures 3 hours later. 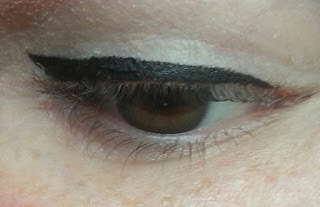 As you can tell it has faded and smudge within 3 hours with out eye primer.I do have to wear eye primer with my stila stay all day eyeliner as while,but it will last 24 hours with out a fade or smudge. 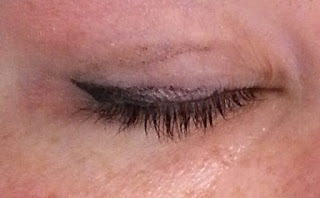 I notice that the eye with primer has started smudge as while when I got home from work.I don't have a picture to show.Sorry!I did enjoy play with this eyeliner like I said it was creamy and easy to apply.For a full size of the mica beauty gel eyeliner is $35. Would I pay that for it, I don't know yet.I going to play with it some more and see.I will update yall then. 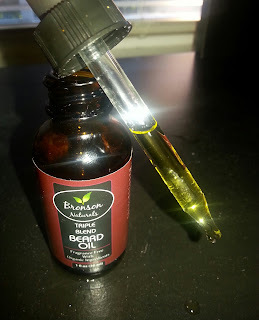 If you have tried this product leave me a comment of what you thought of it. I love make up,I try new make up all the time.Well I signed up for brichbox last month because of one item and that would be the Stila stay all day liquid lipstick. 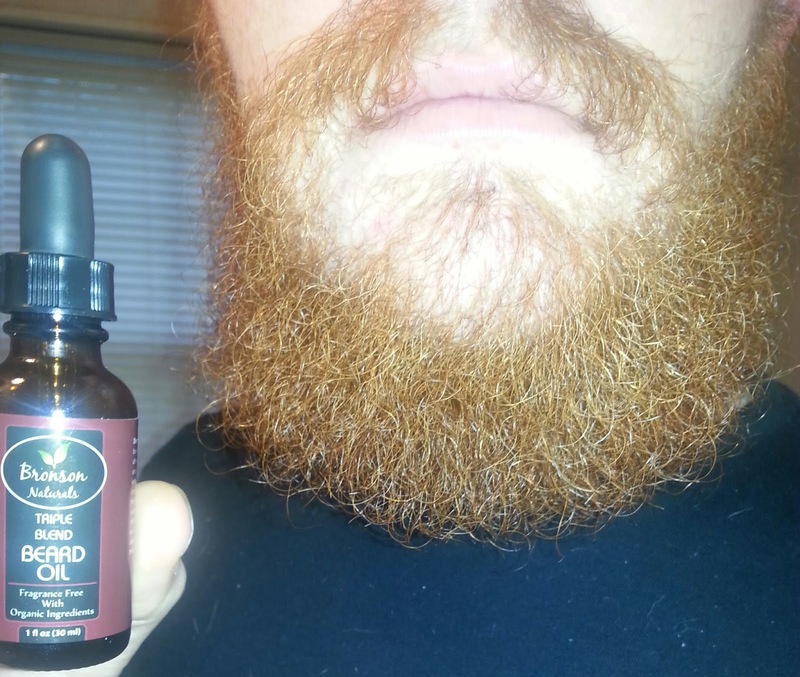 I have heard great things about this product and some bad. The full size will cost you $24 each. How crazy is that! If I'm going to be paying that much for a LIPSTICK it better live up to what it says it going to do. First thing it says it will do is stay UP to 6 hours. Well it lasted for about an hour,it starter peeling and getting little balls rolling around on my lips. Second its says it hydration,as soon as I put it on my lips,my lips draw up tight and it show off my lines in my lips really bad and I hate that. 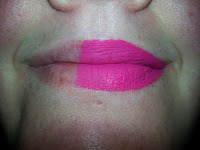 The best part of the lipstick is the smell and color,I got the color bella, its a very pretty color. I hope to find a simular color in a different band. But to say the least I would never pay $24 for a tube of lipstick don't live up to it name. Here are some of pictures.I just put the lipstick on half of my lip to show how it shows off my lines. 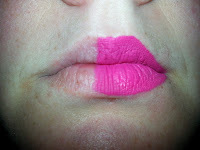 I'm not saying other lipstick don't show my line in my lips,but I feel this one intensify my lip lines more.